Weighting assignments to calculate final grades can be an exhausting task for any teacher. 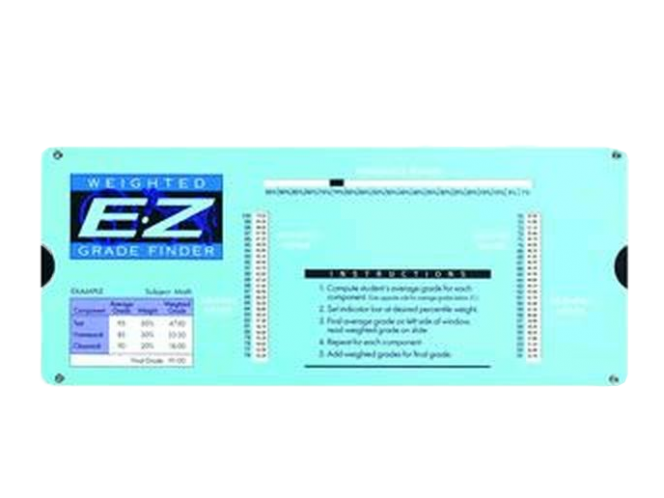 The E-Z Weighted Grade Finder works with you to easily weigh assignments and calculate them into final grades. To illustrate, a student scores an 85 on an assignment worth 30% of his or her final grade. By using the E-Z Weighted Grade Finder, we easily see that an 85 is equivalent to 25.5 points in the total grade calculation. This product is a dream come true for anyone with weighted assignments.